Mass Liberation Project seeks to DECARCERATE and DIVEST from the criminal (in)justice system - we need people & resources IN our communities NOT in prisons. 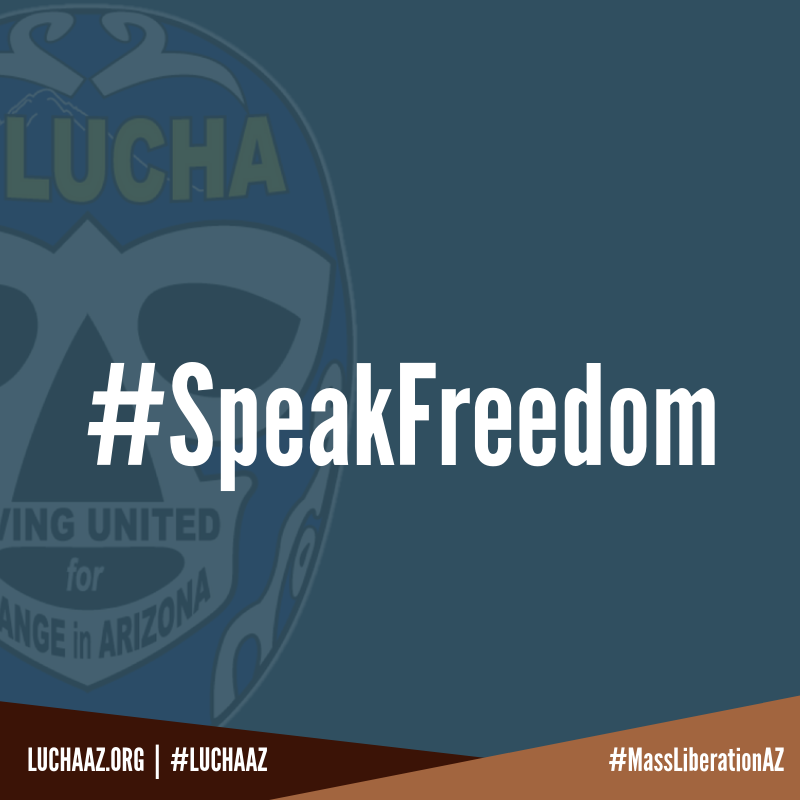 A collaboration between LUCHA members, South Phoenix community members, and the National Lawyers Guild came together to draft and advocate for bills that directly respond to the major priorities of impacted community members. Speak Freedom! - a south Phoenix based, community support group which seeks to DECARCERATE our community and liberate ourselves from the injustices and marginalization that continues to harm us. If you are off probation and have paid all fines and fees, you can petition the state to get your rights back and set aside guilt to help with barriers related to voting, employment, and housing! Having a federal or Arizona felony doesn’t mean you lose your rights forever.